Presenting World’s Top Online Sportsbooks for Rugby. The sport of rugby first appeared at an English boarding school in 1830. Within a few decades, it enjoyed massive popularity across the United Kingdom. And since the British Empire was alive and well in those days, the game was soon introduced to nations around the globe. If you’ve never wagered on the sport, this article should serve as an introduction to wagering on rugby. We’ll cover the sometimes confusing differences between rugby league and rugby union, as well as examining the various bets that can be placed at world’s best rugby betting sites. Once you’ve finished reading, all you’ll need to do is open an account and start wagering on your favorite teams. – The basic rules of each sport are the same, with players attempting to advance a ball and score points by either moving it across the goal line of the opponent or kicking it between two posts. – A “try” is scored when the ball is advanced past the goal line of the opposition. This is worth 5 points in rugby union and 4 points in rugby league. Rugby union players can reach the ball across the goal and score, even if they’re tackled short of the line. 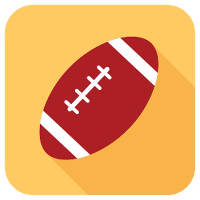 – After a try, both sports allow for a 2-point conversion kick between the goal posts. – A “drop goal,” which is scored by drop kicking the ball between the goal posts, is worth 3 points in rugby union and 1 point in rugby league. – A penalty goal is worth 2 points in rugby league and 3 points in rugby union. – In rugby league, the ball is in play for an average of 50 out of 80 minutes. In rugby union, the ball is usually in play for about 35 minutes. – The pitch (field) in rugby league is 68 meters wide and anywhere from 112 to 122 meters long. In rugby union, the pitch is 70 meters wide and a maximum of 144 meters long. – Only 13 players from a team may be on the field at the same time in rugby league, while 15 are allowed in rugby union. – Rugby league is most often associated with the working class, while rugby union is traditionally enjoyed by the middle and upper classes. – In nations where rugby union is more common, it is simply referred to as “rugby.” In countries where both sports exist, the “league” and “union” tags are used to distinguish them. – In rugby league, a player can also use his legs to tackle the ball carrier if he has both hands on them. This is not allowed in union play. – A rugby union team can hold onto the ball until the other team takes it away. In rugby league, a team must relinquish possession after they’ve been tackled six times. In league play, it’s common for a team to kick the ball away for field position after being tackled the fifth time. – While kicking the ball out of play is allowed in both sports, rugby league also allows the ball to be deliberately thrown out of play without incurring a penalty. NRL – The top organization for rugby league clubs in Australia, New Zealand, and New Guinea. Drawing large viewership and crowds, it is regarded as one of the most popular rugby competitions on the planet. Super League – The main rugby league competition in Europe, it includes 13 English teams and one French team. Each team plays 27 games from February to September, and then an eight-team playoff occurs to determine the Grand Final champion. Challenge Cup – A single-elimination tournament contested by teams from Britain, France, and Russia. It has been held annually since 1896, and it includes amateur, semi-pro, and professional teams. Internationals – Games featuring national teams comprised of players from specific countries. Successful clubs advance to compete in the Rugby League World Cup. Premiership – The top of the English rugby union system. Twelve teams compete each season, and it’s been around since 1987. The main objective is to qualify for the two most important club competitions: European Rugby Challenge Cup and the European Rugby Champions Cup. European Challenge Cup – An annual rugby union competition featuring clubs from England, Wales, France, Italy, Ireland, Spain, Portugal, and Romania. Heineken Cup – The top-tier competition for European rugby union teams. If a team fails to qualify for the Heineken Cup, they may play in the second-tier European Challenge Cup. PRO12 – One of the three major rugby leagues in Europe, it’s an annual competition featuring clubs from Wales, Scotland, Italy, and Ireland. Leinster Rugby and the Ospreys of Swansea, Wales have enjoyed the most success with 4 titles each. Six Nations – A rugby union competition held annually between six European national teams including Wales, France, Ireland, England, Scotland, and Italy. The winner of the tournament is usually referred to as the European Champions. Super 15 – The biggest rugby union competition in the southern hemisphere. Matches are shown in over 40 countries and include competitors from Australia, New Zealand, and South Africa. Internationals – Games played between national teams, often as a way to prepare and qualify for the upcoming Rugby World Cup. Whether you’re betting on rugby league or rugby union, you’ll have the option of betting against the point spread or choosing from prop and future wagers. In some cases, you may also be able to enjoy live betting, which allows you to make split-second wagers while the game is underway.